Exterior: 11′ x 30″ x 6″ / Board Thickness: 6″ / Weight: 25 Lbs. Capacity: 1 adult or 200 lbs. Inflation & Assembly time: 7 Mins. The New LB11 is a great all-around inflatable SUP for both flat water and surf, beginner and expert alike. 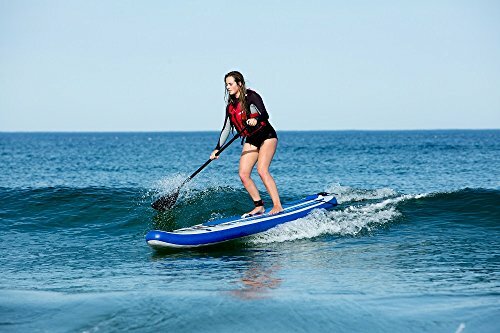 The Stand Up/Sit Down LongBoard 11 gives you a fantastic work out and a great view of the water from a standing position. At 11′ long, 30″ wide, and 6″ thick this SUP will provide you with plenty of stability. Best suited for those weighing 200 lbs or less. It weighs only 22 lbs. so it is easy to transport! The full length EVA foam Diamond Deck Pad provides excellent traction and maximum foot comfort while surfing and on extended tours. The Custom Performance Kick Tail prevents you from slipping off the tail when performing advanced maneuvers and will assist you with blind foot placement that is precise every time! The Sea Eagle Longboard uses Drop Stitch construction, which allows a much higher air pressure than other inflatable technologies. Thousands of tiny threads connect the top and bottom layers of the board. This means the board can hold up to 15 pounds of max air pressure, more than double the working pressure of other technologies. When you’re out on the water, this means the LongBoard will turn, cut and perform like a fiberglass board, even though it packs up in a bag. Great New Stand Up/Sit Down LongBoard 11 gives you a fantastic work out and a great view of the water. 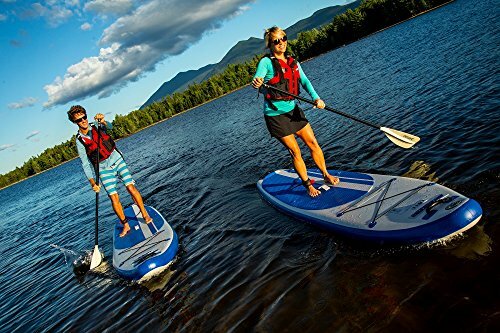 The LongBoard 11 allows you to stand up or sit down for comfortable paddling. 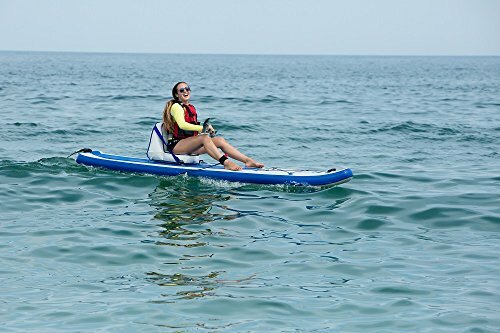 This Deluxe Package is an upgraded from the Start Up Package with a four part double bladed feathering kayak paddle for easy transport and storage and a Deluxe Inflatable Seat. Sea Eagle’s standard 3 Year Manufacturers Warranty.